I had taken the step of taking a Saturday off from my overtime travails at work to go up to London with the rest of the Staggerings and had arranged to meet everyone at Three Bridges railway station. The only problem with that station is that there is a cafe there and every time I walk past it, the tempting aroma of bacon sandwiches is drifting out. Casting my healthy option of my morning bowl of muesli to one side that day, I was just about to tuck into my calorie and cholesterol-laden egg and bacon sandwich when I saw the rest of the team arrive in something of a hurry and hasten over toward the ticket machines at the entrance. I found out that a couple of members of our team had had an inadvertent lie-in and were running late. A few of you, our dear listeners to our podcast and lookers at our fair site of ours, may recall one of my reviews from the distant past; that of the Great British Beer Festival 2003 that was held at our destination. For the uninitiated, Olympia is a very large exhibition hall that has held host to many events and I have had many happy, if rather blurred memories up at the GBBF. Olympia 2 is part of the same complex but about another 5 minute walk further on. As we were walking around to Olympia 2, Jean was bemoaning the fact that the GBBF had moved venue to Earls Court a couple of miles away. I said that the GBBF had the ideal venue as the glass ceiling at Olympia acted as a green house so in the summer, people got hot so they had to drink and so the perfect not-so-vicious circle was created. 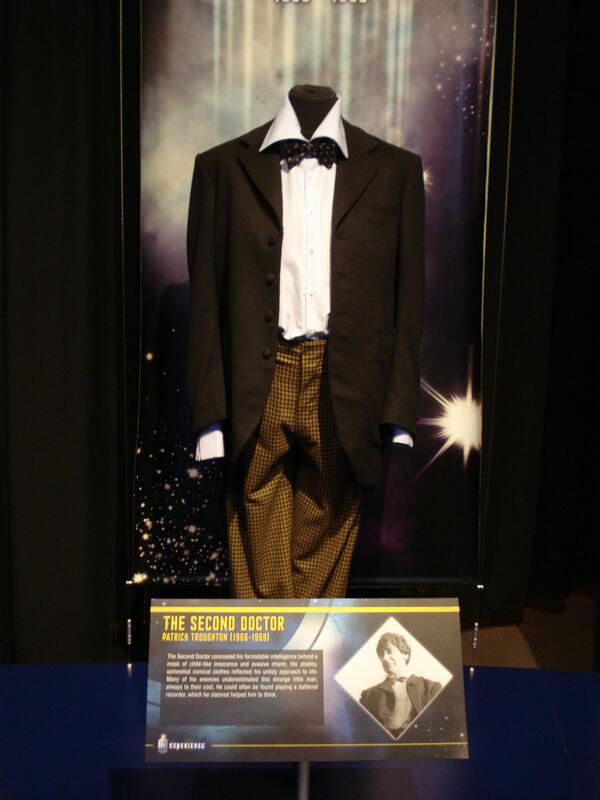 In order to whet our appetites for the actual experience, we were presented with an exhibition area with carefully selected props and costumes from the Matt Smith era. 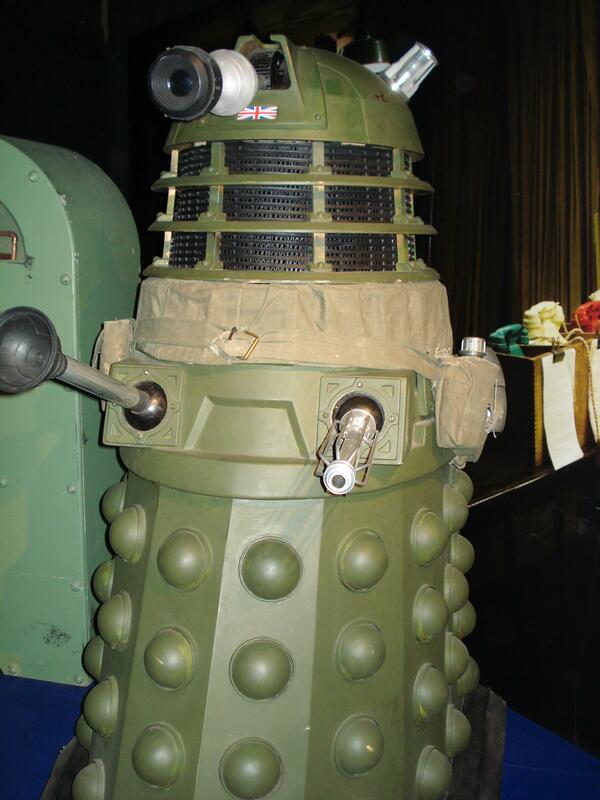 First of these was the Khaki-clad Dalek, or Ironside, as it was known in Victory of The Daleks, resplendent with Union flag on its dome and you could almost see it offering you a tray laden with cups, saucers and a pot of freshly-brewed tea. 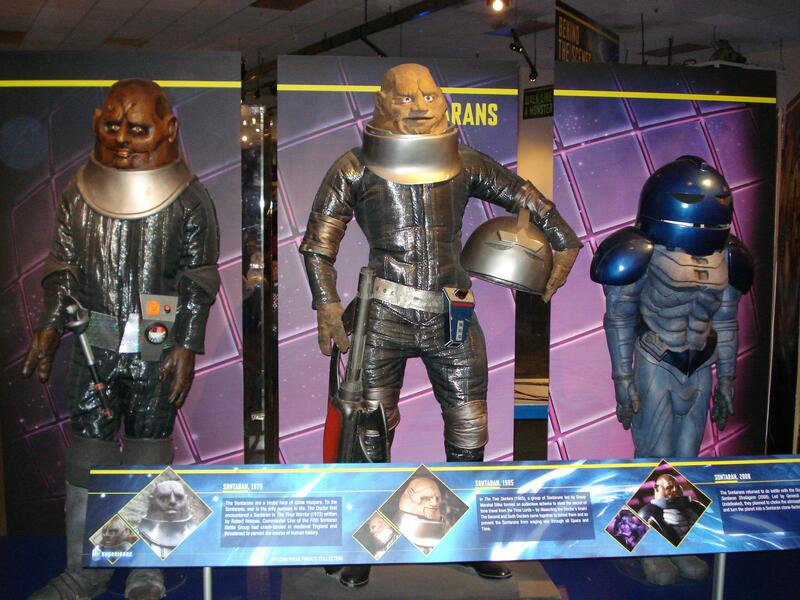 The sinister keepers of Starship UK had costumes on display as well. I shall be dwelling upon Starship UK in a few moments. 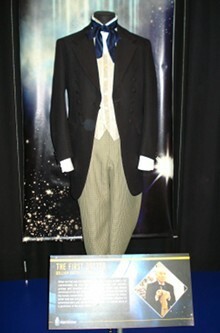 One item on display was from the episode; Vincent and The Doctor. It was the rough sketch that Van Gogh made for the Doctor of the giant chicken, I mean the Krafayis that he saw in his fevered delusions. Enough comparisons have been made between that and the regular fights between Peter Griffin and the chicken in Family Guy so I wont dwell on it any more. 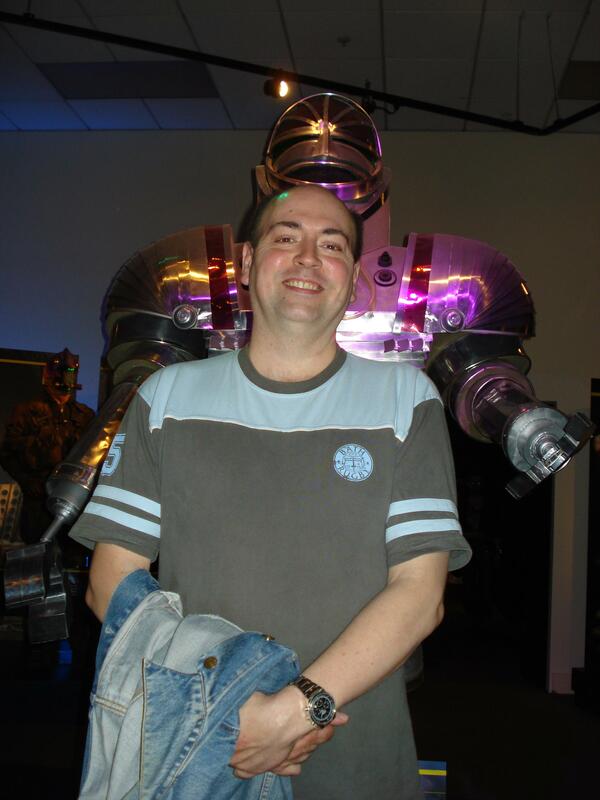 A plethora of costumes confronted us but all too soon it was time to enter the Experience. We had been told on numerous occasions that cameras were not allowed inside. Any chance of me taking a few sneak peeks and piccies were scuppered by the ever-present attendants that tailed us on our journey through The Experience. SPOILERS for the 'interactive adventure' START HERE! We were ushered into a small area with about five or six benches to sit on. We duly sat down, the lights dimmed and we were led into an introduction to the Experience by the Doctor. 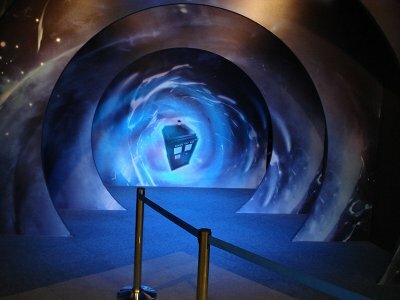 The Vortex in all its other worldly glory was shown on the screen as Matt Smith told us of its glory and danger. 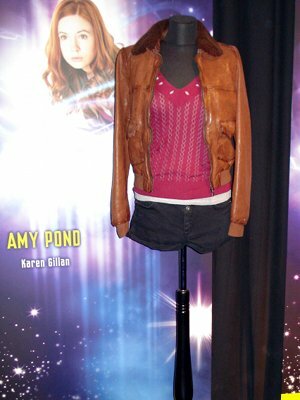 The crack in space and time that was seen in one way or another in the last series appeared on the screen. It was merely a prelude to what was about to happen and the worlds we were about to be plunged into. We are basically lead into a room which can only be described as filled with junk from all corners of space and time. To the right of us stands an Information Node from the episode 'Silence In The Library'. The donor recipients face lights up to inform us that we are on Spaceship UK and that we should adhere to all rules and regulations during our stay here. All around us is the assorted detritus from all corners of the cosmos. 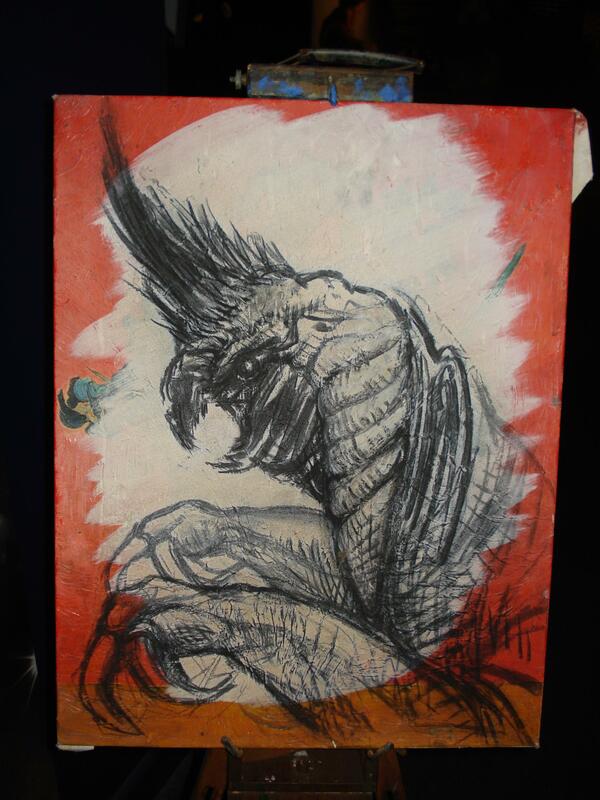 In one corner is a sketch of the giant chicken from Vincent And The Doctor. Near to that is a booth containing one of the sinister swivel-headed mannequins from Starship UK, and there are numerous LED and antique cathode ray tube TV's which flicker and come to life all of a sudden. 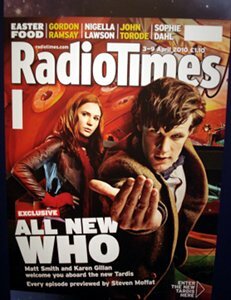 Oh dear, what a silly Time-Lord the Doctor has been! He's gone and got himself locked in the Pandorica MkII and he needs our help to escape. He carries on explaining his predicament until he blinks in sudden realisation and peers out of his confinement. He lets a look of mild disappointment cross his face as he recognises all of us gathered on Starship UK as a sub-breed of Humanity known only as.... 'Shoppers' who have just wandered in. 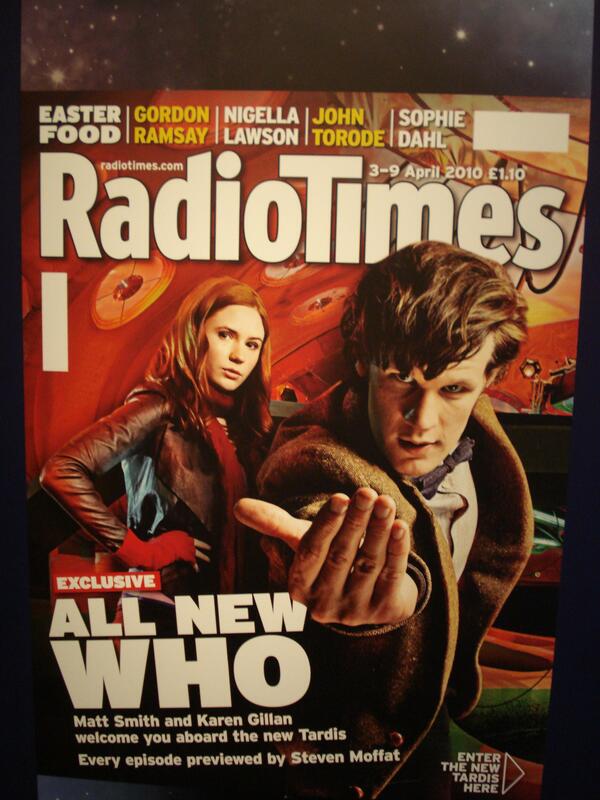 Clearly expecting Amy and Rory to have joined him, he lets that go to one side as he tells us what to do. 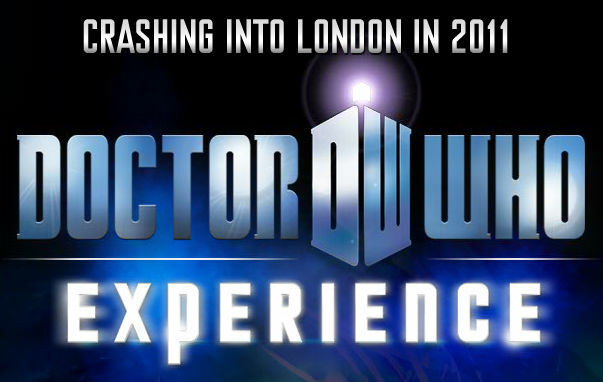 The TARDIS is nearby, in space and time terms, and he wants us to pilot it to the next destination pivotal in his eventual release from the Pandorica. Looking around ourselves, we cannot see the TARDIS, but suddenly a familiar wheezing, groaning noise fills the air and a wall-sized silk screen, disguised as a bookcase, turns transparent due to back lighting and a familiar blue Police Box is revealed. The Doctor, looking out from his confinement, exhorts us to move quickly into the TARDIS in order to pilot it to its next destination. 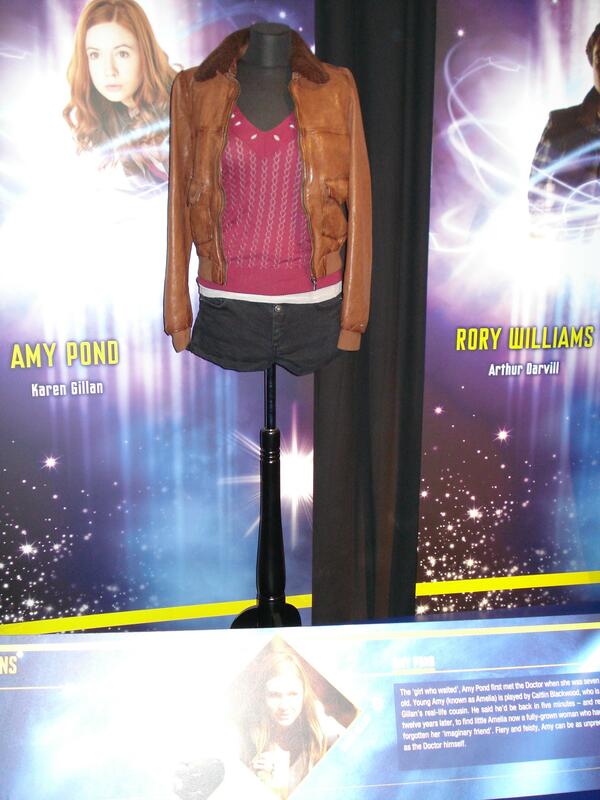 We are now in the familiar surroundings of the TARDIS console room. In the middle of the room is the console and surrounding it, are a series of metal platforms that we are told by our guides that we are to spread out and form a circle around the console. The reason for this is apparent, when a few monitors, placed in various roundels around the Console Room, light up and The Doctor, waving and smiling maniacally as much as his manacled hands will allow, informs us of what we have to do next. He directs the smaller members of our party to gain control of one of the joysticks placed around the railings surrounding the console, which control things such as Navigation and other functions. Passing on directions from his confinement, The Doctor shouts directions to those steering the TARDIS and the floor pitches, yaws and shifts under our feet as hydraulic pistons affixed to the floor panels we are standing on, simulate the passage of the TARDIS through a turbulent Vortex. I know, during the rough passages through time and space the occupants of the TARDIS have to endure, they are forced to cling onto each other. At least in this manifestation of the Console Room, we have the luxury of grab rails to hold on to. We have landed and we are ushered out of the TARDIS to find ourselves on the bridge of a huge spaceship. In front of us is a huge three-part view screen looking out onto the depths of space and in the foreground, the sweeping arc of a ring system surrounding a gas giant planet. Unsure as to where we are, we are left in bewilderment and confusion in the semi-dark, until a familiar and very threatening metallic voice tells us all that we are all prisoners of the Daleks and must remain where we are. From one side of the bridge, a Dalek appears and looks at us threateningly. a second and then a third appear and order us to stay where we are upon threat of extermination. We would have remained there indefinitely if it had not been for the intervention of an unexpected ally. Throughout the entire history of the Dalek race, it has been riven with factions each claiming to be more genetically pure than the rest. We, and the Daleks piloting this ship, find this out as our ship comes under attack from another faction. on the view screen, their vast saucer-shaped ships approach us at lightning-fast speed, all the while firing bolts of pure energy at our ship. Explosions form and jets of steam envelop the bridge as our ship comes under attack. 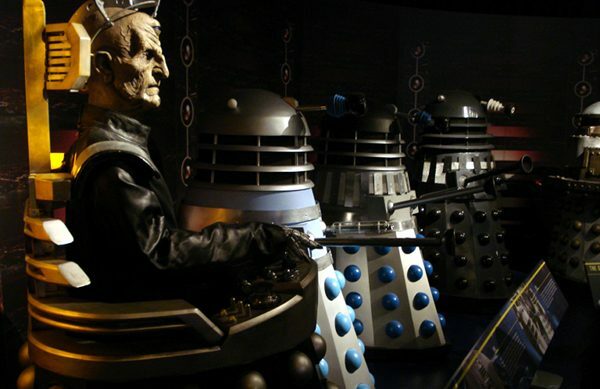 The trio of Daleks retreat to take arms against the attackers as we make use of this situation to make our escape. Just when we thought we had got to safety, things take an ominous turn as we are lead through a tunnel to the last of our attempts to rescue the Doctor. We are in a cave system and in the twilight are human shapes that reach out for us but are seemingly petrified in mid action. Don't blink, don't turn away and keep looking at them! We are in the midst of a horde of Weeping Angels, all reaching for us in order to kill us kindly by throwing us back in time so they can feast upon the temporal energy as we are displaced to an earlier time. 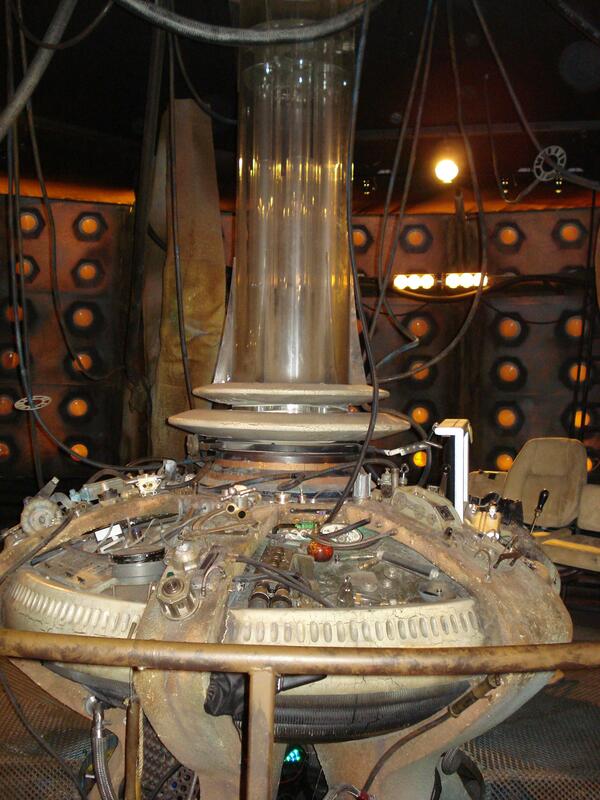 "You look to the left and I'll cover the right....."
The screen lights up and the Doctor congratulates us on getting this far but the Pandorica must be opened in order to liberate him. In doing so, a vicious, whirling maelstrom of energy is released and one by one, the Doctors enemies who originally imprisoned him there are sucked in. A Dalek, its eyestalk sweeping the room threateningly is swept away and Cybermen, one with its arm upraised and firing energy bolts in a futile attempt to slay the Doctors saviours, meets the same fate. Gradually, the storm peters out and the Doctor, savouring his liberty, thanks us all, even though we are 'shoppers'. To the left of us, a double door swings open and we make our way back into the real world, fresh from saving the Doctor from an eternity locked in isolation, so we can enjoy the rest of the experience and cruelly batter our our debit and credit cards into submission in the gift shop. SPOILERS for the 'interactive adventure' END HERE! 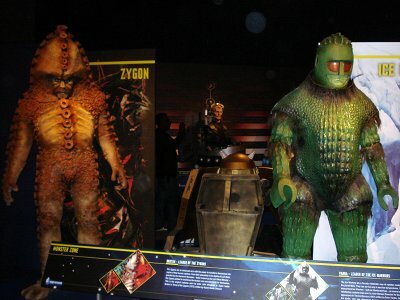 I must confess that this is the largest assemblage of props and costumes from all the series of Doctor Who, both classic and new, that I have ever seen. 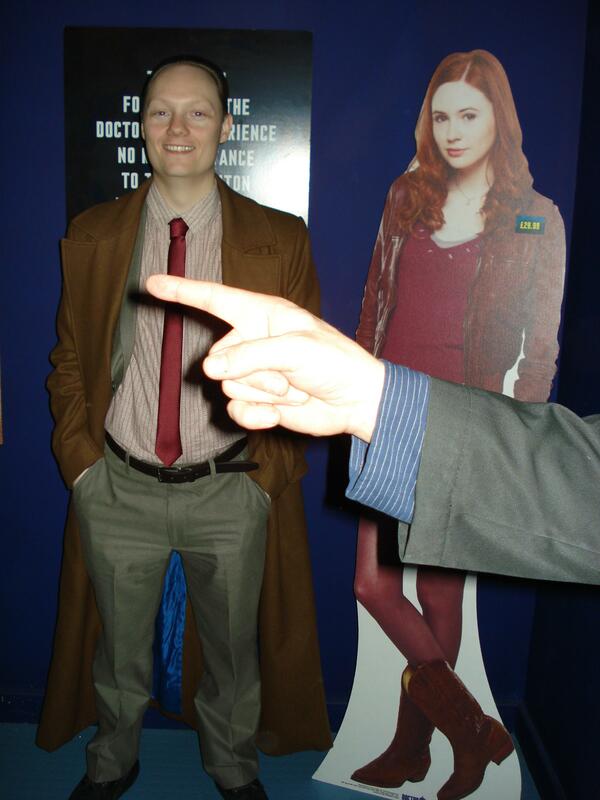 I thought that the Doctor Who exhibition that the Staggering Stories team went to down in Brighton six years ago was an exhaustive compendium but that was nothing compared to what was being exhibited. An example of each of all the Doctors clothing from all his incarnations to date are featured on display as well as numerous examples of his companions clothes as well. I had to pull Adam away, kicking and screaming, from Amy Ponds jumper, jacket and very abbrieviated shorts. 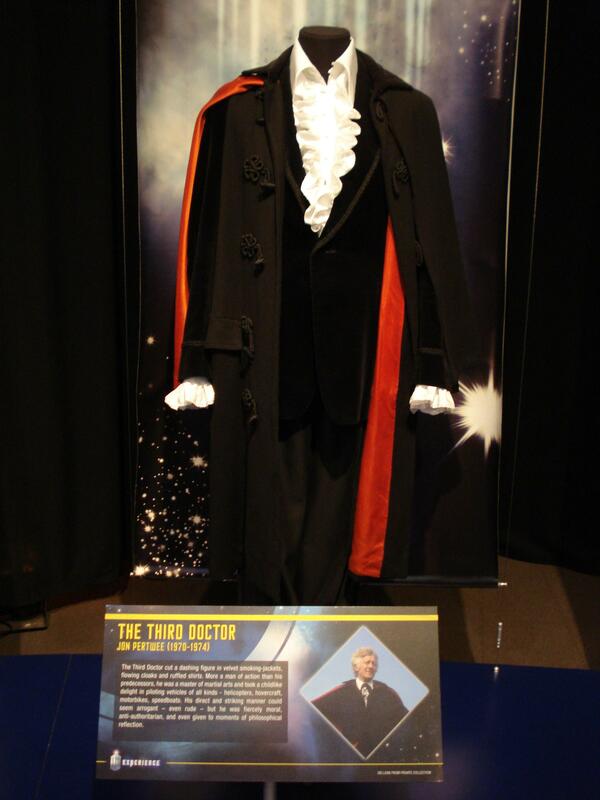 One thing that did bring a mischievous smile to my face was the fact that the third Doctors dandified cape and frilly shirt and velvet jacket were on display. Someone quite rightly said that the only two people who could pull off wearing a velvet jacket were Jimi Hendrix and Jon Pertwee. 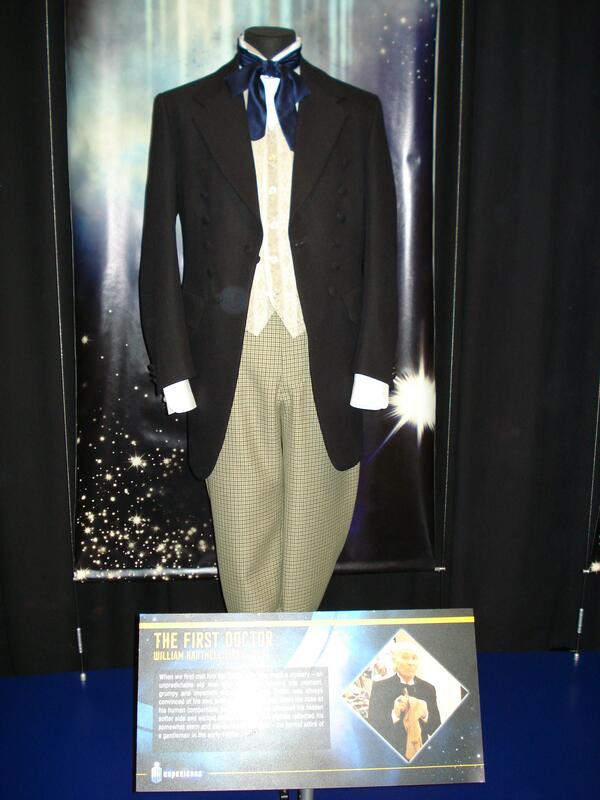 I wished that Adam had brought The Head Of Pertwee along with us so he could nip over and plonk it on the dummy displaying his clothes but sadly that wasn't to be. Into the next gallery and there is a veritable host of the Doctors enemies and adversaries and those who neither help nor hinder. 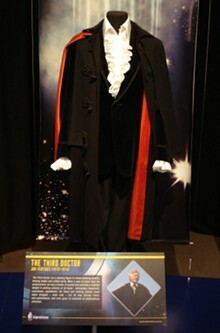 One display that did catch my eye was the metamorphosis of some of the Doctors most famous foes. One such display was that of the Daleks. 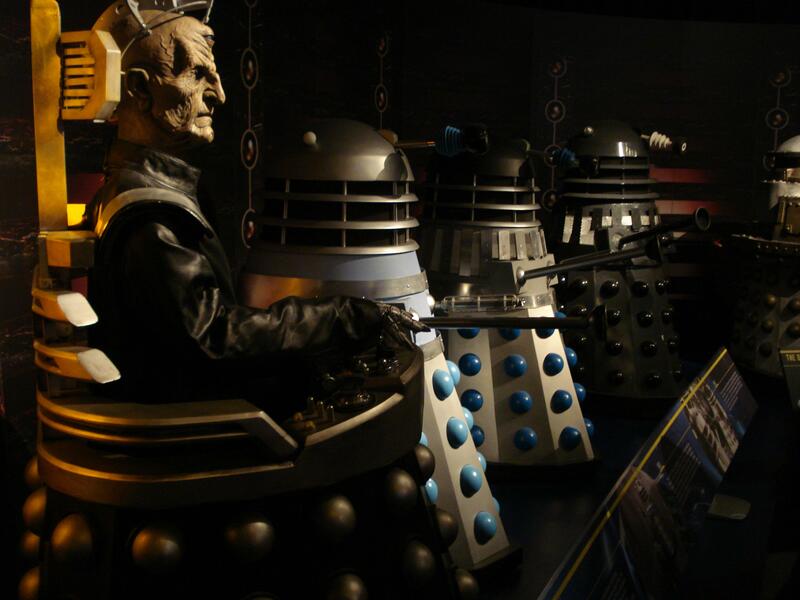 Starting off with their crazed creator; Davros, we are led through the changes to the structure and size from various eras of the show, from their beginnings on Skaro to the newly styled and revamped ones first seen in Victory To The Daleks. The same can be said of Sontarans from their very beginnings in the Sontaran Experiment where Sarah Jane Smith is pinned up against a wall and subjected to various probings, only to be saved by Jon Pertwee and his Venusian Aikido, right up to date where Mike from the Young Ones wants to take over the world in the Sontaran Stratagem. Totally heavy, Man! Zygons, Zarbi and a host of other nasties are on display stands for our delight, delectation and derision. Props also take centre stage and some of them are very grand indeed. The weather control station from A Christmas Carol takes pride of place along with the cryogenic coffin that Kathryn Jenkins has to occupy in order to preserve her dwindling supply of days left to her. 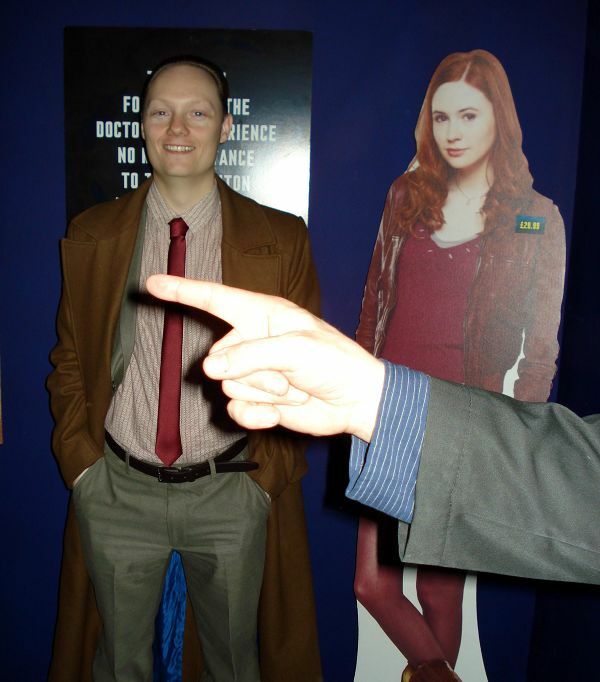 As with all exhibitions, there is a facility available where you can have your picture taken and then superimposed on a background of your choice. Keith and Karen's youngest construct; Jamie, decided that he wanted to be posing in the doorway of the TARDIS. After this was done, it was down to the more senior members of the party to be seen loitering with intent in the console room of the latest incarnation of the TARDIS. How the Doctor could let such a motley crew on board is beyond me. 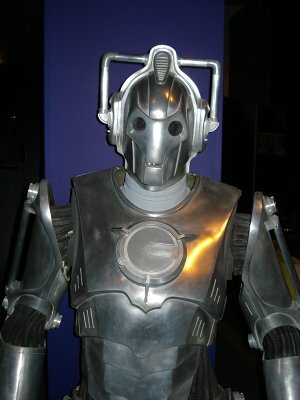 There are lots of interactive features to fool about with including the chance to sound like a Dalek or a Cyberman. All you had to do was to bellow into a strategically placed microphone, your recorded message is modulated and Presto! you can sound like your favourite Doctor Who baddie! Additionally, you could see how the creative minds behind Doctor Who come up with the storyboards, primary illustrations and visualisations of scenes, characters and monsters by way of a painstakingly accurate recreation of one of the offices of the production team. It just goes to show the sheer amount of planning that goes into a single episode of Doctor Who, how long it takes and the creative processes involved. 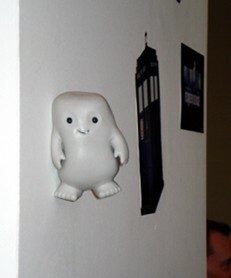 Sitting down to have a well-deserved break and to rest our aching feet, Fake Keith (Karen) opened her bag and pulled out a purchase which was to cause a lot of merriment; an Adipose stress toy, whom she promptly christened Graham. Pulling it out the box, she handed it to me and like all squishy stress toys, it was slightly sticky and clammy to the touch. Jean had the bright idea of seeing if it would stick to anything and promptly proceeded to throw the poor little creature against the nearest wall, whereupon it clung there, limpet-like, still with a toothy smile on its face. 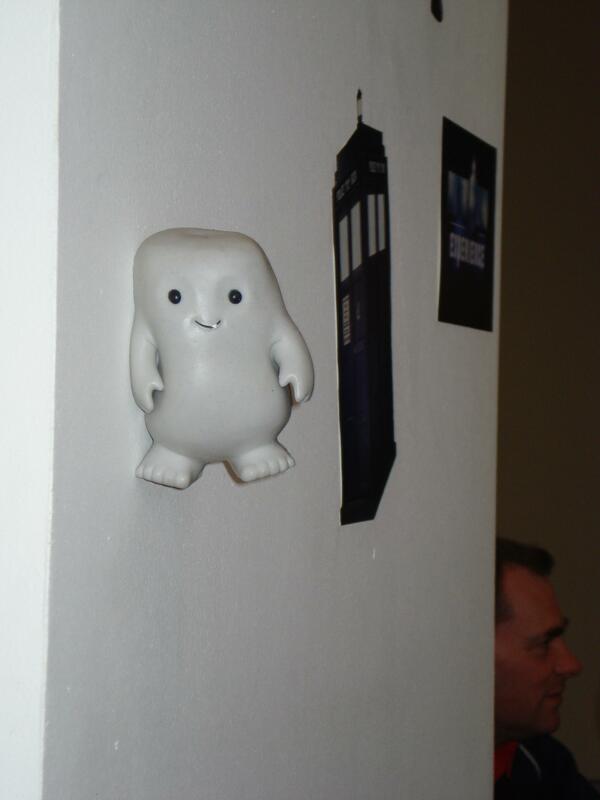 People sitting nearby had noticed what we were up to and emulated us and for a while, all you could hear was the gentle thud thud thud of numerous Adipose as they made contact with various walls.